Skegness United progressed in the Sharman Burgess Sports Cup - without kicking a ball. 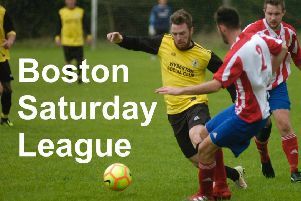 Opponenets Boston Athletic were unable to raise a team for the match in the Boston Saturday League’s premier cup competition, handing United a comfortable passage. They return to action on Saturday, hosting Kirton Town in a Workforce Unlimited Division One contest. Kick off will be at 2.15pm.